WHAT? WHEN? WHERE? HOW MUCH? WE GOT YOU COVERED. WHAT IS INCLUDED/WHAT ARE WE GONNA DO FOR 8 DAYS? Day trip to Volcanoes National Park, where Kilauea, an active volcano, is changing the face of this planet every day. A trip to Maku'u Farmer's Market in the town of Pahoa - you've never seen fruit like this before! You are responsible for your flight and airport transfer to Kalani. I want more! What ELSE can I do at Kalani?! Oh, we like you, you curious little monkey. Watch their orientation video here. You’ll find yourself with lots of free time during our retreat. When we aren’t holding group classes or activities, you can enjoy a massage or lounge at the clothing-optional pool. There are hula classes, Hawaiian culture classes, tons of yoga options, and even Kalani's version of Zumba, Samadhi Dance Fitness, that is out of this world fun. You can find a weekly calendar of activities here. Kalani is on a stretch of the most beautiful coastline on any of the Hawaiian islands. It’s very untouched and undeveloped, and makes for a stunning and peaceful walk. It's called it the “red road” because before they paved it, it WAS red from the sulfur that comes from the old lava. There are daily snorkeling outings and you can walk about a mile and a half to the stunning and secluded black sand beach. WHAT DO THESE DAILY MOVEMENT SESSIONS ENTAIL SLASH DO I NEED TO BE AN IRONWOMAN TO ATTEND? What kind of movement are we doing? Olivia trained under Erin Stutland, who created the amazing program Shrink Session: a combination of cardio dance + kickboxing + yoga grooves + spoken mantras. However Olivia takes it to another level - celebrating your femininity and all you've fought through to make it here. Every session with Liv will shrink your self-doubt and expand your belief of what's possible in your life. It will also release an endorphin-high like no other. You are verbally celebrating your body while moving it at the same time. That sounds intense/insane. What is it really like? Basically we are having daily jungle dance parties. We learn a simple combination and say mantras out loud...at the same time. Our open air group space for movement and celebration. So do I have to be a freaking body builder to attend this retreat? Absolutely not. This is not boot camp, it's RE-boot camp. This is about recharging and rediscovering who you are and what you are capable of doing. That being said, we will be moving every single day. This retreat is for everyone who wants to move their body, and we invite you to start practicing movement today – even if it’s a simple ten minute walk. If movement isn’t a part of your daily routine, we can’t wait to show you how joyful it can be. We will challenge you. We will ask you to show up for yourself. You’ll be stating positive mantras while moving your body in ways you didn’t realize it could move. There will be modifications for every exercise for those with pre-existing injuries, or uncomfortable. And of course remember, that even if there’s a day where you march in place for the entire session because that’s how you feel that day, we love it because you're listening to what YOU need and what YOU want. These sessions really are the beginning of a new routine – a new way to show gratitude and love to your perfect body. On that note, we want to remind you the reason you are coming. This experience is for YOU. Your soul, your heart, your mind, your faith, your confidence, your perfect-as-it-is-body. If you want a magical eight-day retreat where you lose twenty pounds from moving every day and eating vegetarian food, that’s not really what this retreat is about. This retreat is not about shrinking anything other than your fears. So all body types are welcome, and we want to make sure that you realize you will leave with the same body that you came with – but it will be stronger and you will be more thankful for it when you leave. That is one thing we can promise. That was a long answer. We will be staying in Kalani's only ocean view rooms. 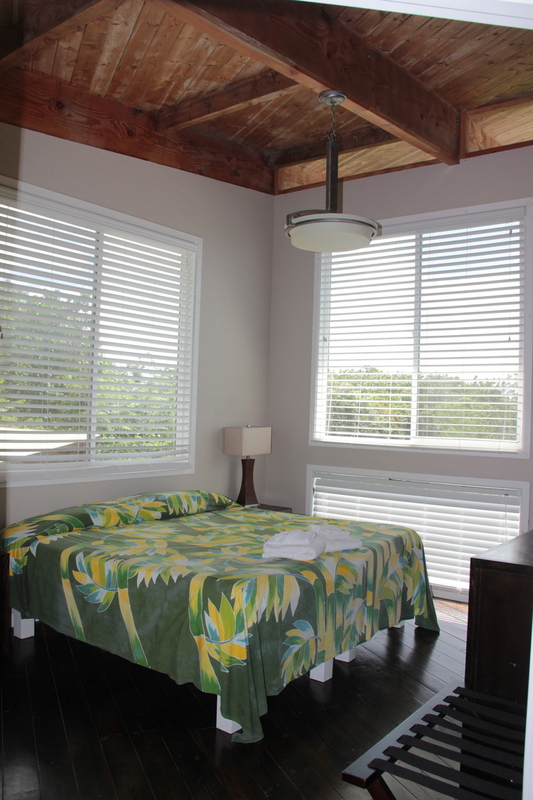 Our group spaces are completely ours, private and away from the dining lanai and other guest areas. We can laugh, scream, cry and shimmy as loudly and as freely as we want. Rooms are triple occupancy with gorgeous decor, outdoor space, luxe bathrooms and a dining/sitting area. Roommate requests are welcome but not guaranteed-- please ask right away so we can do our best to accommodate you and your bestie! What’s the deal with meals? All of your meals are prepared and provided by Kalani’s all-star kitchen. Fresh local ingredients, vegetarian, vegan, gluten-free options and cheery volunteers will greet you at the open air dining lanai. You’ll find coffee, tea, fresh fruit, and a bread and toast bar here all day long even if it’s not mealtime. Breakfast is served from 7:30am-8:30am, lunch is served from 12pm-1pm, and dinner is served from 6pm-7:30pm. 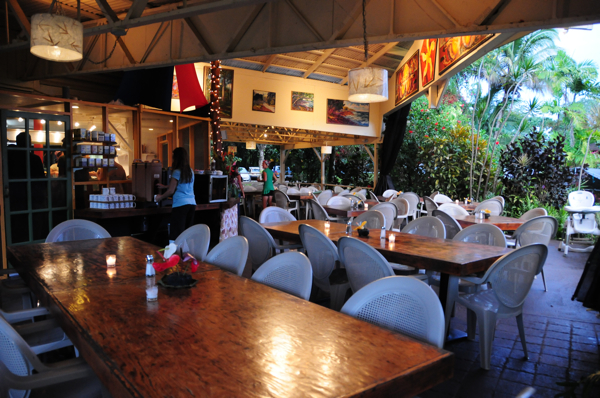 Our rustic dining lanai where any dress code goes! What is the best way to get to Hawaii? You will fly to Hilo Airport (ITO), and we recommend arriving in the afternoon so that you still have daylight to see the beauty around you. Landing in time to catch this is worth that 6am flight, no? What happens when my plane touches down in Hilo? How do I get to Kalani? Kalani offers a shuttle service to and from the airport. The shuttle costs $60 for one person, or $45 if there are multiple people in the shuttle. After you register, Kalani will reach out to help you co-ordinate this part of your journey. You can, but it's a little brackish. There are filtered water fountains all over property, and as we are staying in the Ocean Vista, we’ll have our own water, too. There are designated smoking areas on property. While there is no alcohol for purchase on the property, it's perfectly alright to purchase it in town and bring it back with you. However, you'll find that alcohol can be tricky in the humid jungle conditions, and most people live without it for the time they have on Kalani property. Trust us: we're gonna be on endorphin highs from all the dance parties! We think that 14 participants is a wonderful number for a re-boot camp where intimate sharing and intense grooving is going to be taking place. Also, the two private spaces we have reserved for us will comfortably hold 14 women. So...logistics. 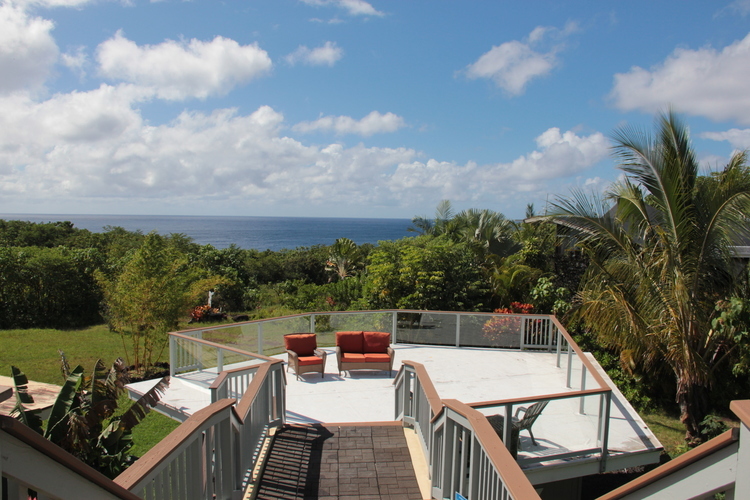 Our private lanai for discussion and meditation. The retreat cost (including everything but your flight and airport transfer) is $1999. Special rates (ie "book with a friend," and scholarship) are available; please contact us for details. Do I have to pay the entire workshop fee up front? 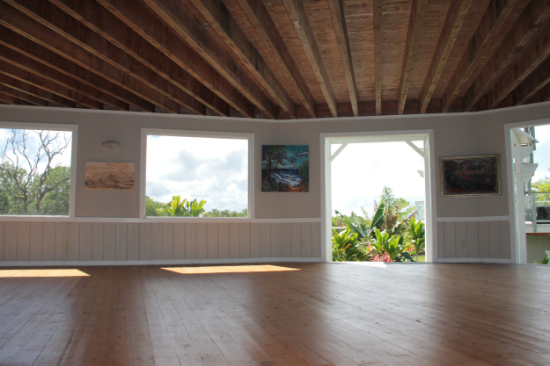 Bookings at Kalani require payment in full (lodging, meals, tuition) to secure reservations. However, payment plans are available upon request. What if I put my deposit down but find out later that I cannot attend? Cancellations requested 14 days or greater before your arrival date result in a full refund less a $50 administration fee. Cancellations requested 24 hours or more before arrival, but less than 14 days before arrival, result in full refund less a 10% administrative fee, or a $50 administration fee, whichever is greater. If you cancel within 24 hours of arrival, or do not show, no refund will be provided. This sounds amazing. I want in. What do I do? Hooray! Please contact the Kalani Retreats and Programs Registrar today. You can call (808.965.0468 ext. 120), email (registrar@kalani.com) or go to their website here.